Crossed localities : Kirchberg, Senningerberg, Rameldange, Ernster, Gonderange, Eschweiler, Beidweiler, Rippig, Hemstal, Bech, Wolper, Consdorf, Kalkesbaach, Scheidgen, Echternach. They say that two is twice the fun. 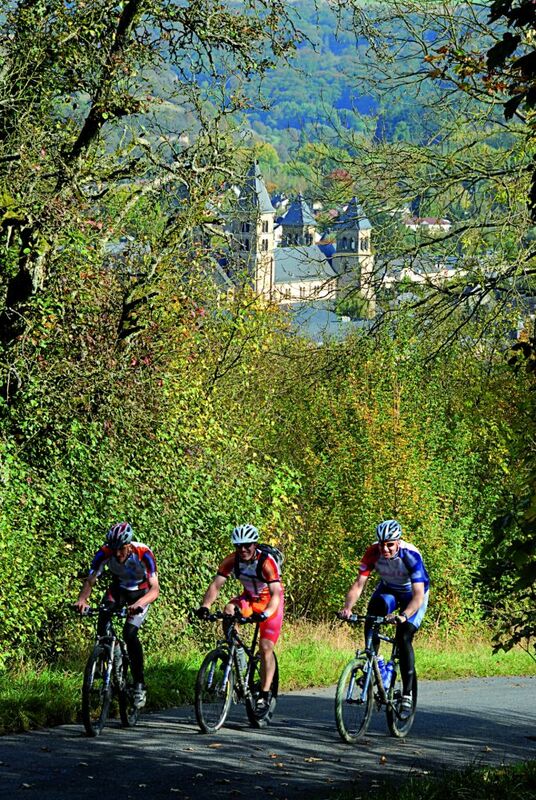 And this is certainly the case with the Echternach cycle route! 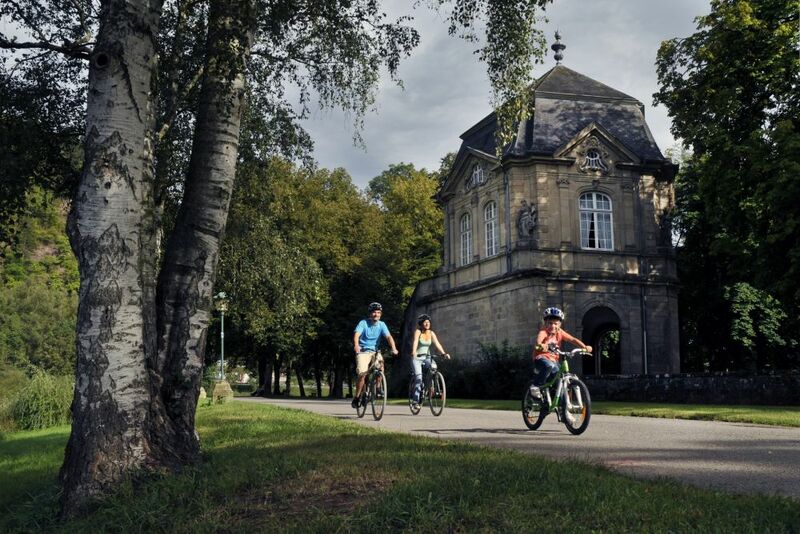 The story starts in the country’s capital, the city of Luxembourg. A couple of wheel turns later you’re already at the iconic Pont Rouge. 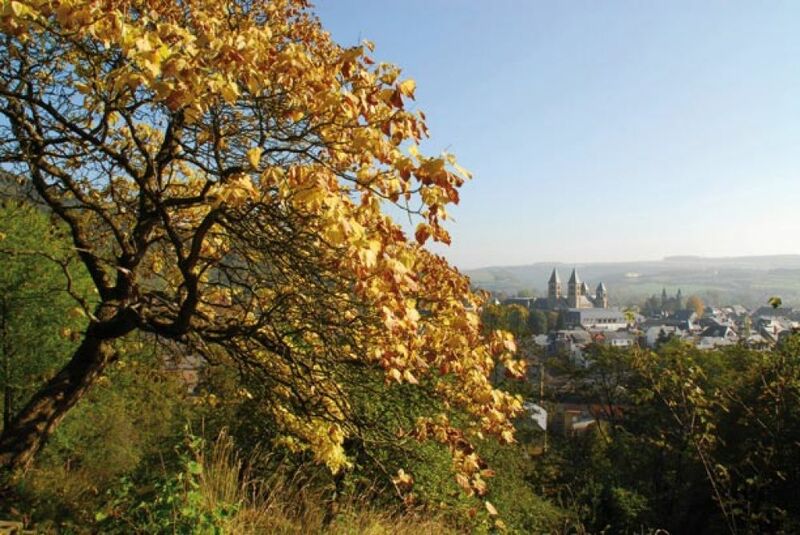 As you cross the bridge, cast your eyes over the magnificent view of the Alzette Valley and the old town, with its UNESCO World Heritage fortifications. The next area you pass through is Kirchberg, a district peppered with European institutions and a rare delight for lovers of contemporary architecture. 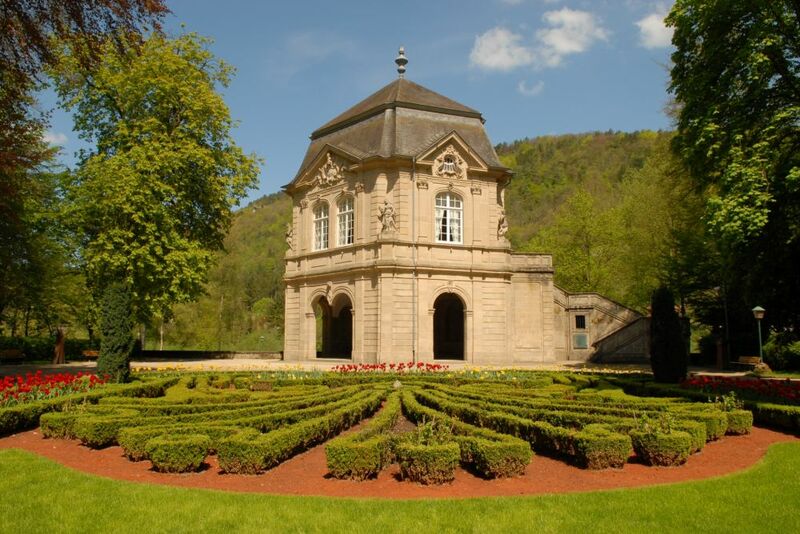 As your head turns this way and that, you will discover la Coque (The National Sporting and Cultural Centre), the astonishing Philharmonie and the MUDAM (Luxembourg’s museum of modern art), designed by the famous Chinese-American architect, Leoh Ming Pei. Upon leaving the capital, however, there’s a twist in the story – a sudden change in scenery. 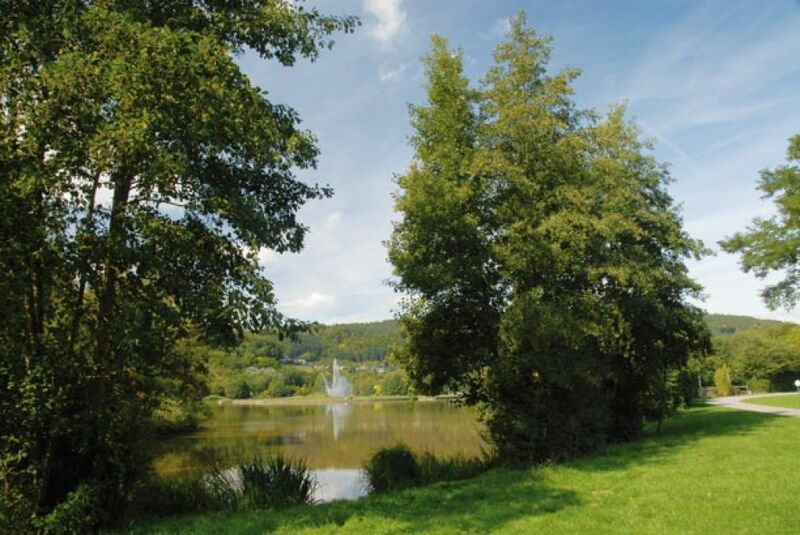 At once you find yourself in the heart of la Petite Suisse Luxembourgeoise (Luxembourg’s Little Switzerland), an area characterized by its landscape of dense forests and spectacular rock formations sculpted by the forces of erosion. Check out the labyrinthe de rochers at Berdorf, and admire those dark and imposing crevasses, such as the Kuelscheier near Consdorf and its extraordinary waterfalls (called the Schiessentumpel). This region is truly blessed with some remarkable spectacles of nature. 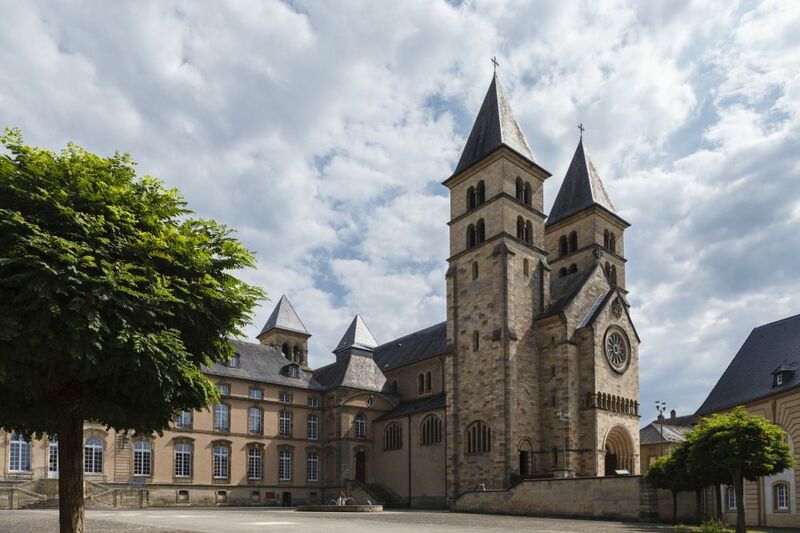 The tour ends at Echternach, which is regarded as the historical and cultural capital of the region. Take a moment to discover its abbey, Roman villa, ramparts and narrow alleyways, which lend the town much of its charm and medieval allure.